Specifies the approved training courses or competencies required to issue a licence, perform prescribed work or work under an exemption order for electricians, plumbers, gas-fitters and auto gas-fitters. It replaces previous Determinations and DOC/15/33398 v1; and Approved courses training document for National Broadband Network - Induction Training for Fibre Optic Cable for non-electrical and electrical staff 2011; which are revoked. Sets the individual electrical licence classes; and the associated eligibility and scope of work.This Determination replaces Occupational Licensing (Electrical Work) Determination 2009 which is revoked. Classifies electrical work and severely defective electrical work. It replaces Occupational Licensing (Classification of Electrical Work) Determination 2012 which is revoked. Sets out obligations regarding the process and minimum content of approved compliance certification. It replaces Occupational Licensing (Private High Voltage Electrical Work - Certifications and Energisation) Notice 2013 which is revoked. Approves forms for use under the Occupational Licensing Act 2005. It replaces Occupational Licensing (Approved Forms - Electrical) Notification 2011 which is revoked. Prescribes plumbing work licence classes; eligibility; continuing competencies; scope of work relating to each plumbing licence class; licence conditions and endorsements. It replaces Occupational Licensing (Plumbing Work) Determination 2013 which is revoked. Defines the licence classes; eligibility; conditions; and scope of work for gas-fitting installation work. It replaces Occupational Licensing (Gas-fitting Work) Determination 2012 which is revoked. Establishes licence requirements (full or restricted) to install, service, repair gas fuel systems in motor vehicles, forklifts, mobile industrial equipment, and reciprocating stationary engines using LPG, CNG, LNG, NG or Biogas. It replaces Occupational Licensing (Reciprocating Internal Combustion Engine Gas-fitting Work) Determination 2013 which is revoked. Specifies what a gas-fitter must do, who doesn't have a current a current gas installations/storage systems - boats and caravans (LPG) licence endorsement, after holding a gas-fitting registration and endorsement and didn't apply during the legislation changeover. Sets out the management and control principles for CPD point accumulation specifications, allocation processes and practitioner requirements for maintaining skills and CPD in performance of prescribed work. CBOS approved Certificate of Accreditation for Econocycle ENC10-1, ENC10-2 and ENP10-2 aerated waste water treatment system. Valid from 2018 to 2023. CBOS approved Certificate of Accreditation for Zenplumb hybrid treatment systems. Valid until from 2018 to 2023. Designers guide to condensation in buildings. This guide must be read in conjunction with the National Construction Code (NCC). All example diagrams in this Guide are diagrammatic only. For use by people whose work is directly affected by the Building Act 2016. This includes local council staff, builders, owner builders, building surveyors, architects, building designers and plumbing certifiers.  Reference document for acceptable workmanship standards in residential construction in Tasmania. Guide is based on technical standards and industry tolerances to describe what is considered an acceptable standard. Guidelines relating to charged downpipes to rainwater tanks installed in Tasmania and rated as low risk plumbing work category 2B. Code applies to health service establishments defined in the Health Services Establishments Act 2006.Read this Code in conjunction with the National Construction Code. These specifications provide requirements the Regulator expects to see in an ESMS. Without including these provisions applicants cannot expect to receive an approval. Example for Schedule 1 Single Storey design in Tasmania. This is an example only. Example for Schedule 1 Two Storey design in Tasmania. This is an example only. Example for Schedule 3 Plan As Constructed design in Tasmania. This is an example only. Form - Application for acceptance - complex/prescribed standard gas installation. Must be signed and sent to the Director of Gas Safety 14 days before the proposed commissioning date. Sets minimum requirements and conditions for specific gas-fitting work activities, which are exempt from having to hold a gas-fitting practitioner licence. Replaces Occupational Licensing (Gas-fitting Exemption) Order 2010 which is revoked. Specifies the insurance required to be held by holders of An Owner Builder Permit under the Occupational Licensing Act 2005. Guide to applying, renewing and changing occupational licensing services online in Tasmania.